“We’re going to go out there and give it a go today and see where it goes from there. We have to take it one day at a time. That’s why I’m not getting my hopes up about Sunday. I’m going to get my hopes up for today and go out and see how it goes today.” — Ben, on practicing. Roethlisberger said he wants, likely more than anyone, to be back out on the field. 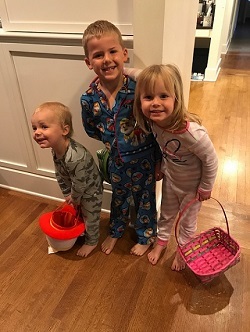 He doesn’t have any concerns about playing after missing the last four games with a sprained MCL, including not worrying about wearing a brace. He said he can’t be concerned, it’s not the way to approach the game. 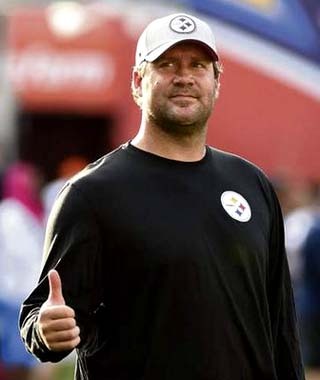 Roethlisberger returned to practice in a limited fashion last week with the hopes of being ready for the Steelers game against Kansas City at Arrowhead Stadium. While he said there is no pain now, he wasn’t able to go against the Chiefs because of the knee. “I think it was more just a pain, an inflammation setback,” said Roethlisberger. “I don’t think it was a negative injury, or more of an injury type of setback. It was just putting an extra heavy load on it and paying for it that night. Just with achiness, inflammation, things like that. While Roethlisberger is more anxious than anyone to return to game again, he knows he can only play if the knee is ready to go and there won’t be any restrictions on his mobility. “I think if there is a restriction I shouldn’t be out there. 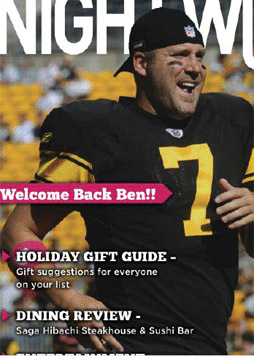 That’s my opinion,” said Roethlisberger. “It’s going to be coach’s decision what happens if I play, things like that. But you can’t go out there if you are restricted in any way. You can watch Ben’s interview here. Today is National Chocolate Day! 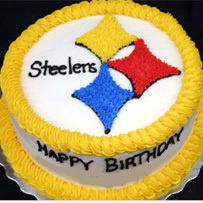 Why not celebrate with an order from Sarris Candies? 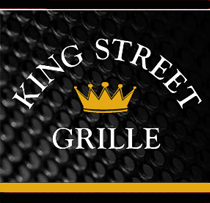 Send your loved ones some of the best candy they’ve ever eaten. 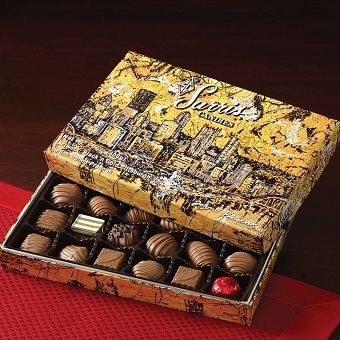 Sarris will donate 25 percent of the purchase price to the Ben’s Foundation. Donating to a great cause doesn’t get much sweeter than that! 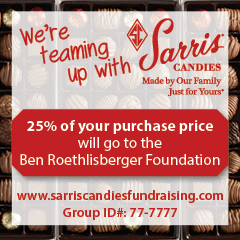 You can support The Ben Roethlisberger Foundation by purchasing candy on Sarris Candies’ website, (www.SarrisCandiesFundraising.com), using a special purchase code (77-7777).